Russia is reportedly negotiating with Somaliland leaders for a naval base to support its warships and submarines to operate in the region and the busy shipping lanes carrying most of Europe’s goods. If realised, this would be Russia’s first base in Africa since the Cold War and be a major step forward for Putin’s programme to revive Russia’s once proud navy. The base is expected to be home to two destroyer-sized ships, four frigate class ships, two large submarine pens, two airstrips that can host up to six heavy aircraft and 15 fighter jets. It is reported the naval base would be staffed by 1 500 people and service destroyers, frigates and submarines. The rumoured location of the base is outside Zeila city, in Somaliland. It is also on the border with Djibouti – near the location of China’s first overseas base in modern times, which opened last year. As the US and China both have military facilities in Djibouti, it should not be a surprise that Russia would want facilities there too. According to Dr Andrew Foxall, director of the Russia and Eurasia Studies Centre, the Horn of Africa is strategically important for a number of reasons, amongst others because it allows both power projection into the Middle East and influence over the Suez Canal through the Gulf of Aden. 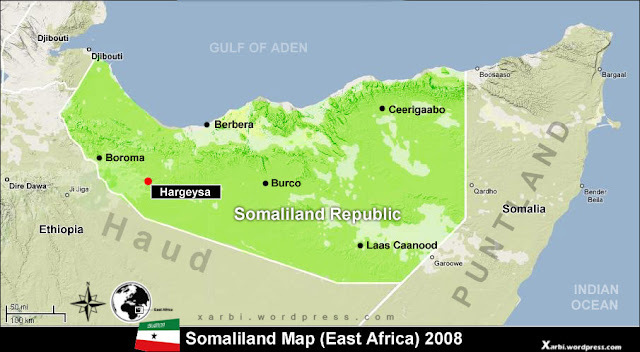 The development of a facility in Somaliland could be seen as an attempt to build a blue-water navy. According to the Qaran News, Russia is proposing that it will recognise the breakaway Republic of Somaliland in return for being allowed to establish the base. It also reported that Russia will ensure security in the breakaway country by training the Somaliland military. Russia’s possible base in Somaliland would be about much more than just spiting the Americans, as it would be part and parcel of Moscow’s intended “Pivot to Africa”. In this instance, Russia could potentially mediate between Somaliland and Somalia and then ‘balance’ between both of them and their much larger neighbour of Ethiopia. Given that Djibouti was becoming cramped for space, and the relatively long distance between Port Sudan and Ethiopia, Russia might have decided to build a base in Somaliland as an alternative entry to Ethiopia, with whom Somaliland is allied.